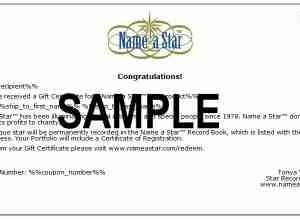 Birthday gifts from Name a Star are the perfect way to tell special people that they’re stars! 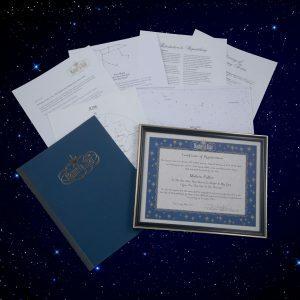 Naming a birthday star is a unique and timeless gift that is meaningful to people of all ages. 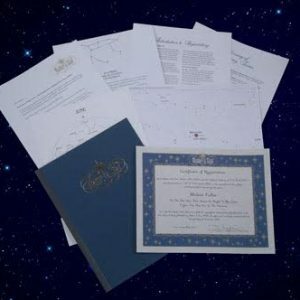 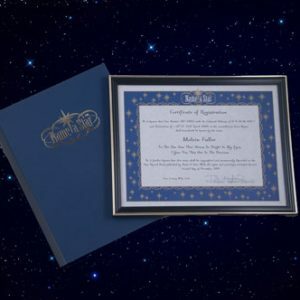 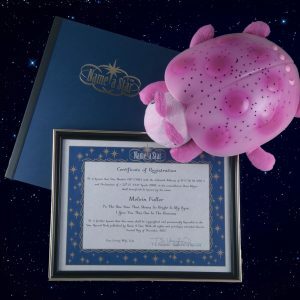 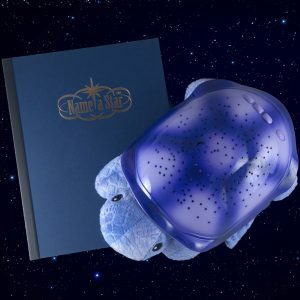 In addition to receiving a star of their own, the birthday star recipient gets a Name a Star gift package that includes a certificate of registration, star charts to find the birthday star, and fascinating information on astronomy. 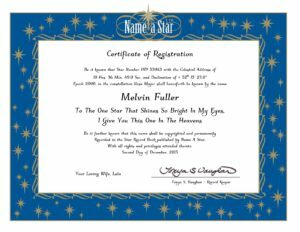 You can even add your own personal birthday message to the star certificate. 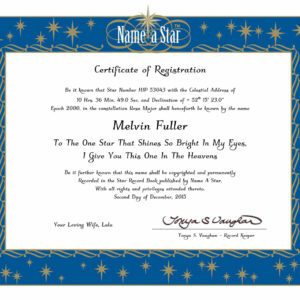 Name a star after someone as a birthday gift from Name a Star, The Original Star Naming Service – Since 1978.